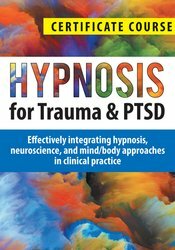 Carol Kershaw, Ed.D., is a licensed psychologist and co-director of the Milton Erickson Institute of Houston and co-author of Brain Change Therapy: Clinical Interventions for Self Transformation (2012 WW Norton), co-author of The Worry Free Mind (Career Press) and author of The Couple’s Hypnotic Dance (Brunner/Mazel). She is board certified in Neurofeedback, a member of the American Psychological Association, and approved consultant for the American Society of Clinical Hypnosis. She is an international trainer and is a frequent presenter in the states on the most cutting edge interventions based in neuroscience and hypnosis. Carol has been featured on ABC, CBS, Fox and NBC for her cutting-edge work. Financial: Carol Kershaw receives royalties as an author for W.W. Norton and Company. She receives a speaking honorarium from PESI, Inc. Non-financial: Carol Kershaw has no relevant non-financial relationship to disclose.